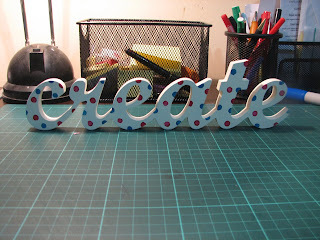 Just finished this baby, it says CREATE, painted it off white and put red and turquoise polka dots all over it :D So cute. 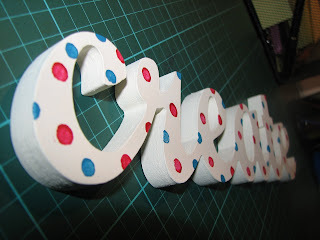 When I finally get a craft room of my own this is going to be the colour scheme! That is really cute Gem. Would be a great inspiration in my craft space!